US District Judge Strikes Down WI Constitution’s Marriage Amendment. Bp. Morlino Responds. June 8, 2014 World News Comments Off on US District Judge Strikes Down WI Constitution’s Marriage Amendment. Bp. Morlino Responds. Posted on 7 June 2014 by Fr. John Zuhlsdorf Legislatures don’t make the laws in these USA anymore. Judges nobody elected have taken over. They do whatever the hell they want in this new kritarchy. A case in point. A US District Court, Judge Barbara Crabb, struck down as unconstitutional Article XIII, Section 13 of Wisconsin’s state constitution, which reads: “Only a marriage between one man and one woman shall be valid or recognized as a marriage in this state. A legal status identical or substantially similar to that of marriage for unmarried individuals shall not be valid or recognized in this state.” The people of Wisconsin voted in a referendum to amend the constitution with that article in November 2006. June 5, 2014 3:05 AM The entrance to the site of a mass grave of hundreds of children who died in the former Bons Secours … DUBLIN (Reuters) – Ireland’s Roman Catholic Church told the order of nuns who ran the former home where a mass grave of almost 800 children was found that it must co-operate with any inquiry into the discovery. Ireland is considering an investigation into what the government called a “deeply disturbing” discovery of an unmarked graveyard at a former home run by the Bon Secours Sister where 796 children died between 1925 and 1961. Published June 05, 2014 Associated Press OKLAHOMA CITY – A federal judge has granted nearly 200 Catholic employers an injunction to temporarily prevent the U.S. government from forcing them to provide insurance coverage for contraceptives. The Catholic Benefits Association filed a lawsuit in March alleging that a provision of the Affordable Care Act forced them to violate their religious objections to contraception and abortion-inducing drugs. On Wednesday, U.S. District Judge David Russell of Oklahoma City granted an injunction that exempts members from any fines or penalties arising from not complying with the provision while their objections are litigated. Marriage And Witness: What’s Going On At Notre Dame? May 28, 2014 World News Comments Off on Marriage And Witness: What’s Going On At Notre Dame? 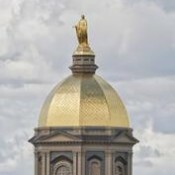 BY MICHAEL BRADLEY Wed May 28, 2014 09:39 EST May 28, 2014 (Public Discourse) – In October of last year, Iwrote here at Public Discourse about the University of Notre Dame’s unfortunate decision to participate in National Coming Out Day. I noted that, by encouraging celebration of identities rooted in proclivities toward acts that violate the truth of marriage, Notre Dame was failing in its pastoral duties to guide its students in love and in truth. These duties are rooted in its institutional vocation as a Catholic university, as articulated by the school’s Mission Statement. Several events on campus this spring have confirmed and deepened my belief that Notre Dame is failing to fulfill its pastoral duty to bear witness to the truth.